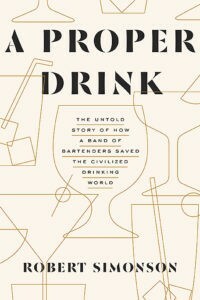 On Sunday, November 13 at 3 p.m., writer Robert Simonson is speaking at Anvil Bar & Refuge (1424 Westheimer) to discuss his new book, A Proper Drink: The Untold Story of How a Band of Bartenders Saved the Civilized Drinking World. The event is open to the public; no reservations are required. Simonson is a regular contributor to the New York Times, as well as other national publications like GQ, Imbibe and Wine Enthusiast. A cocktail social and book signing will follow Simonson’s hour-long talk, which includes a Q&A session. Thank Fate and a whole lot of rain for his visit to Houston. It was by sheer happenstance that Simonson met Anvil Bar & Refuge owner Bobby Heugel. “I was doing an event for the book in Kansas City,” said Simonson. “I went to a bar there named Manifesto. It’s kind of an underground bar in a basement. In order to leave Manifesto, you have to go out through this restaurant called The Rieger. It had started raining—this torrential downpour, so much that the streets very quickly turned into rivers. Simonson worked for almost three years to bring A Proper Drink to life. Simonson worked almost three years on A Proper Drink. “It was the hardest thing I’ve ever done as a writer,” he said. 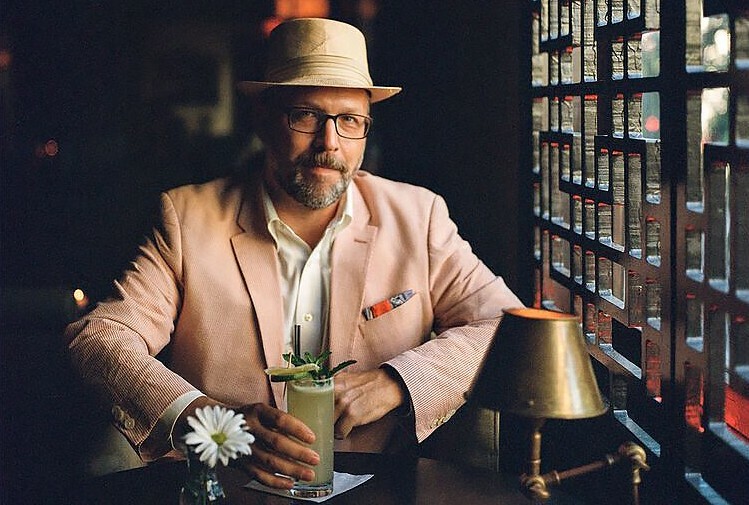 Simonson interviewed over 200 bar professionals (and, of course, had to transcribe all those interviews) and traveled to three countries to gather the history of the cocktail revival. The list price of A Proper Drink is $27 and it is also available on Amazon. Dario's Steakhouse & Seafood is celebrating its 10 year anniversary for 10 days with a great deal on popular wines and a steak! Read to find out more! This Cypress restaurant has many fans and for it's 10-year anniversary, it's offering discounted deals on some of its most popular offerings. Rockin' Star Ranch in Brenham is this year's home for the annual Foodways Texas symposium. The event lasts three days, starting on Thursday, April 25 and ending the night of Saturday, April 27th, with a traditional barbacoa dinner. Read for all the details.